We’ve seen tournaments finish quickly and we’ve seen them last all night, but none has surprised us quite as much as this one did. Play was 5-handed for about half an hour before Jim Pizanias and David Wang busted in quick succession. That saw the remaining three players – Daniel Neilson (pictured), Jarred Graham and Corey Kempson – get together to do a deal. A few moments later, with the deal determined, they opted for a three-way blind all-in to determine the winner. Not surprisingly, Neilson’s blind hand was 99 which held up against the 84 of Kempson and the T3 of Graham on an A673K board! Daniel Neilson, epic beard and all, is therefore champion once again of the $5k Challenge! The three remaining players – Jarred Graham, Daniel Neilson and Corey Kempson – have now taken a lengthy break to discuss a deal. Moments after sending Jim Pizanias to the rail, Corey Kempson took care of David Wang as well. It was Kempson’s AJ against the K7 of Wang and when the board ran out A87T6 we were down to three! Jim Pizanias got it in for his last 150,000 with 55 against the A8 of Corey Kempson. The fliop didn’t last long – Kempson filling up as the board ran out 8K8JK to send Pizanias home in 5th. While Corey Kempson has been making steady progress at the final table – sitting with a touch over 300,000 right now – his friends have been busy spreading a few nicknames for him. As a result, we’ve been asked to refer to him in future as either “the horn” or “the rat”. We decided it was best not to ask why! Henry Wang shipped in the small blind for 95,000 with J7 and Corey Kempson tank-called in the big blind with K8. The board ran out Q65A8 and Wang hits the rail. Kempson is up to 155,000. Blinds are up to 5,000/10,000 with a 1,000 ante! Having seen his stack dwindle over the course of a number of recent hands, Alex Lynskey shoved with A8 of diamonds and was called Jim Pizanias with 99. The 48T flop gave Lynskey some hope with its two diamonds but the turn 9 gave Pizanias a set and the 6 river was another brick for the youngster who exits in 7th. Pizanias soars to almost 500,000! Jim Pizanias has been on a bit of a heater over the past hour or so and he just forced a tough fold from Alex Lynskey. We caught the action on a QTQA board with Pizanias betting 25,000. Lynskey called to see a 5 river. Pizanias didn’t waste any time in betting 60,000, sending Lynskey deep into the tank bfore he eventually mucked what he said was KK. Pizanias is up to 360,000 with Lynskey on 150,000. Andrew Lichtenberger shoved from the button with QJ and was called in the small blind by Jarred Graham with AK. The board fell 8A6K6 and Lichtenberger falls in eighth! Graham has stormed to a dominant chip lead with 405,000. Emmanuel Seal shoved for his final 30,000 with A8 but Jarred Graham woke up with KK. No Ace arrived and Seal is our first casualty of the final table. Players are on a 10-minute break. And with that we’ve reached the final table! Chips counts to follow shortly. With that hand Pizanias moves to 350,000. Hassib Younan opened UTG to 12,000 with Jim Pizanias bumping it up to 30,000. Younan called to see a KJ9 flop. Both players checked the flop as well as the 5 turn. When a 2 landed on the river, Pizanias bet 55,000 – enough to put Younan all-in. He quickly called then mucked when Pizanias showed AA for the second time in just a few minutes! We’ve just lost a player from each table at almost exactly the same time with Billy Argyros and Tim English both headed to the cage to collect. Argyros shipped the button for his last 50,000 with pocket 10s but ran straight into the AA of Jim Pizanias. Seconds later Tim English got it in with A7 against the KJ of Alex Lynskey. The board ran out Q46J2 to end English’s run. James Camilleri survived a brutal beat yesterday in which his top set was rivered by quads, but he couldn’t quite turn that recovery into a cash – falling one place short thanks to Henry Wang. It was Camilleri all-in against the AK of Wang, with the brutal KK4 flop leaving him needing a miracle. Instead, an A on the river filled Wang up, sending Camilleri to the rail with broken dreams. Daniel Neilson limped in late position and Michel Bouskila shoved. Neilson called with his 10s racing against Bouskila’s AJ. No help arrived for the latter and he heads to the rail in 14th. We are now on the bubble! Hand for hand play has commenced. Blinds are up to 3,000/6,000 with a 500 ante. Still 14 players remaining! 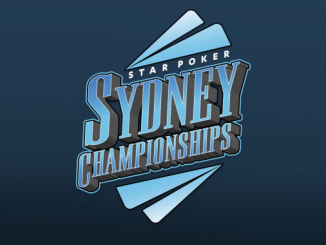 Short stacks David Wang and Emmanuel Seal have both doubled through to keep their hopes alive. Seal, who made a big fold a few moments earlier, got it in with KK against the AQ of Tim English and the 89Q67 board saw him move to 85,000. Wang, meanwhile, doubled through Alex Lynskey with 77 and moves to 110,000. On a flop of 952, Emmanuel Seal bet 15,000 only for Hassib Younan to re-raise all-in and pout Seal’s tournament life on the line. Seal tanked for at least two minutes before eventually folding. He has just 40,000 – 10 big blinds – remaining. With 14 players remaining, we’re just two spots away from the money which means the pressure is now on the short stacks to try and survive. With $11,440 the minimum payout, there is plenty at stake when it comes to a decision for their tournament life! Play is back underway with blinds at 2,000/4,000 with a 400 ante. Gary Benson shoved from the button and Alex Lynskey was priced in to call with K3. As it turned out, Benson held AA but it wasn’t enough for the double as the board ran out 5J3K9 to give Lynskey two pair. Laurence Hall is our latest casualty, shoving his last 50,000 with KQ and running into the AK of Henry Wang. No Q arrived to save him and Hall hits the rail while Wang is back up to 160,000! The elimination of Dean Blatt means we are now down to 16 with the tables broken down to two tables of eight players each. Blinds are up to 1,500/3,000 with a 400 ante. We’ve just witnessed a crazy hand go down on Table 2 that has resulted in Michael Addamo being eliminated and Dean Blatt crippled. Hassib Younan was the beneficiary although he enjoyed a nice slice of luck in the process. The hand began with Blatt shoving from the button and Addamo doing the same from the small blind. Younan then made the call and the cards were flipped over. It was Addamo with AA in pole position against the AJ of diamonds held by Younan and the K7 of diamonds held by Blatt. Incredibly, the 565 flop included two diamonds and a T of diamonds on the turn was the last thing Addamo wanted to see. The river was a repeat 6 and Younan shipped the 81,000 pot. Blatt is down to 35,000. Jonathan Karamalikis and Najeem Ajez have hit the rail. The chips have been darting all over Table 1. After Alex Lynskey took a huge chunk from Henry Wang’s stack, Wang donated more to Michel Bouskila to double him up, but then doubled up himself thanks to Tolly Sakellariou. Next hand Sakellariou was eliminated by Corey Kempson before Kempson doubled up Gary Benson a few hands later! Short stacks Tolly Sakellariou and Rined Namrood have both been eliminated as we drop to 20 remaining. Alex Lynskey has just won a massive pot at the expense of Henry Wang to soar into the tournament chip lead. In a blind v blind battle and a board reading 2346, Lynskey bet 7,500 but was check-raised by Wang to 31,000. Lynskey made the call. He was right. Lynskey showed 77 and Wang instantly mucked without showing. Lynskey soars to 195,000 while Wang is down to 60,000. David Wang has sent Dejan Boskovic packing after calling the short stack’s shove holding 99 and winning the race against KT on an AA6A3 board. We’re down to 22 runners. George Karageorge is the latest to hit the rail, running pocket Jacks into the AA of Henry Wang and finding no love from the dealer. 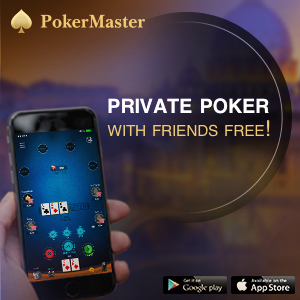 That pot moves Wang – best known for his third place finish in the 2014 WSOP APAC Main Event – up to 180,000 and puts him in a very strong position. Laurence Hall finished the opening day inside the top 10 chip counts and determined to make a deep run after a number of close calls at major tournament series in recent years. He has begun well today, taking down an early pot in a clash with Andrew Lichtenberger. The American gun opened to 5,000 in the cut-off and received a call from Hall in the big blind. Both players checked the KTA flop before Lichtenberger bet 6,000 on the 3 turn. Hall check-raised to 16,000 and Lichtenberger folded. Hall is up to 95,000. Moments after Damelian’s exit, Martin Ward shipped his final 35,000 holding AJ and was called by Jarred Graham with AQ. The board ran out 232T6 and Ward hasn’t hung around for long today either! With just two big blinds remaining to start the day, it’s no surprise that Robert Damelian shoved first hand today holding K6. He was called by Alex Lynskey with a dominating A6 and although a K landed on the flop to put him in front, running Aces on the turn and river ended his day in a flash! 4.00pm: Cards are in the air! Play is underway here on Day 2! Blinds are at 1,000/2,000 with a 300 ante. 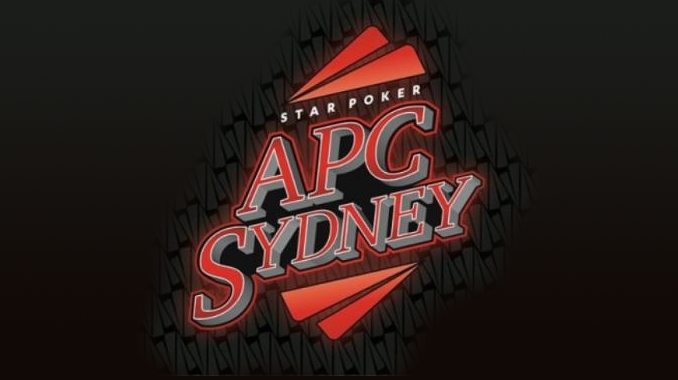 Welcome back to PokerMedia Australia and our live coverage of Day 2 of the $5k Challenge – part of the inaugural Australasian Poker Championships at The Star in Sydney. A hectic day full of action yesterday saw 107 entries whittled down to the final 26 players who will return today with dreams of taking home the $139,770 first prize. 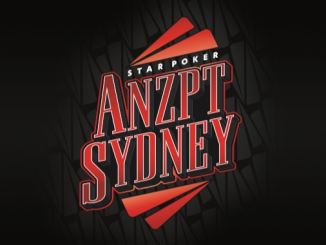 They include luminaries and young guns of the local poker scene aplenty, but leading the way is none other than Daniel Neilson as he looks to add yet another title to his extensive collection. We’ll be here from 4pm to bring you all the live action so kick back, grab a cold drink and enjoy!